Home of the Crofton Bike Doctor Blog! | Where we interact with customers and share our knowledge of bicycles, bicycle accessories, clothing, repairs and fittings. This is the last in our series of places to ride for families, couples and road cycling. We all love to ride with our families, partners and many of us enjoy road riding. All of these recommendations are based on personal rides from the staff. These recommendations have been made to riders just like yourself and have received lots of positive feedback. Of course all of us in the store love to learn what your riding needs and preferences are and then we can make recommendations based on your needs and riding preferences. Just come on by. I hope you enjoy these rides. Let us know what you think and what other rides are your favorite. When thinking road rides we are thinking about rides that are geared towards road bikes but would certainly be appropriate for fitness bike cyclists that want longer rides. There are so many great places to ride road bikes in our area. No matter which direction you want to head you can build a ride using roads that motorist are used to seeing people on. When talking to local road cyclists you’ll find that most enjoy riding in South County. With all of the side roads in southern Anne Arundel County you can generally have routes that are not full of cars. Many of these roads are narrower and lack wide shoulders or any shoulders. Roads like RT 2 and Muddy Creek offer generous shoulders in many areas.Lots of cyclists ride in this area and I have always felt that if you hang out at popular stopping points for cyclists in South County that you will meet every cyclists in the Washington DC Metro area. Popular destinations in South County are Deale, North Beach, Chesapeake Beach, and Rose Haven. Chesapeake Market and Deli is a popular stopping point in Rose Haven and if you want to make a weekend out of it check out the Inn at Herrington Harbour. Sweet Sue’s Bake Shop and Coffee Shop is cyclist friendly and a frequent destination in North Beach. The Chesapeake Beach area as places for the cyclist to refuel whether they are heading south to the famous rollers or beginning to work their way back north. Lots of groups ride in this area the Annapolis Bicycle Club has some popular routes with Cue Sheets on their website here. If you’re looking for a more tailored route swing by the shop and I can help you plan a great route. If you’re a road cyclist you’ll definitely want to explore the great cycling that South County offers. The Eastern Shore is full of great places to explore on your bike. People enjoy the flat roads and low volume of cars that are the norm. One popular route for cyclists and triathletes is the EagleMan Ironman bike course. The route starts in Great Marsh Park in Cambridge and is a 56 mile loop with 700 feet of elevation change. You can find a route for this on one of ride programs like Strava, Map My Ride or Ride with GPS. A quick Google search will provide a bunch of resources. A Cue Sheet is linked below. The Six Pillars century route is also a very popular with 37, 56 (the EagleMan Route) and 100 mile routes. Here are the Cue Sheets for all three of these routes from the 6Pillars site. This is the second in a three part series of places to ride. We all love to ride with our families, partners and many of us enjoy road riding. All of these recommendations are based on personal rides from the staff. These recommendations have been made to riders just like yourself and have received lots of positive feedback. When thinking about couples rides we were thinking about rides that would make for a fun date or a weekend adventure. Riding is fun but making a weekend out of riding with other activities is even better. Great for a day trip or a weekend St. Michaels won’t disappoint. The St. Michaels town limit sign is almost exactly 60 miles from the center of the Chesapeake Bay Bridge. Make a day of it or check into one of the many Bed and Breakfasts in the area and create a weekend of cycling and sightseeing. This is the first in a three part series of places to ride. We all love to ride with our families, partners and many of us enjoy road riding. All of these recommendations are based on personal rides from the staff. These recommendations have been made to riders just like yourself and have received lots of positive feedback. When thinking about family friendly rides we are thinking about rides that have kid friendly things to do along the way and are safe for children to ride. The Cross Island trail runs west to east for six miles across Kent Island. One of the things we love about this trail is that it doesn’t feel like a typical multi use trail. It feels more like you are riding at the beach as the trail meanders along and crosses water allowing a great opportunity to spot wildlife. The cool thing about this trail is all the great things to do along the way with your kids. What size bicycle should my child ride? Getting the right fit for your child is so important for their safety but also their comfort. Can they safely stand over the bike? At least an inch between rider and the bike. How is the reach to the handlebars? Can the rider safely turn the handlebars while maintaining a safe grip on them? Can they operate the braking and shifting? When talking about sizes in children’s bicycles we talk about wheel size. This is different from adult bicycles were we talk about the frame size. What type of bike should my child ride? What type of riding does your family do and how often? What are the other children in the neighborhood riding and where? BMX style, versus a more traditional bicycle. If your child will be riding mainly with them then that style of bicycle might be the best choice. 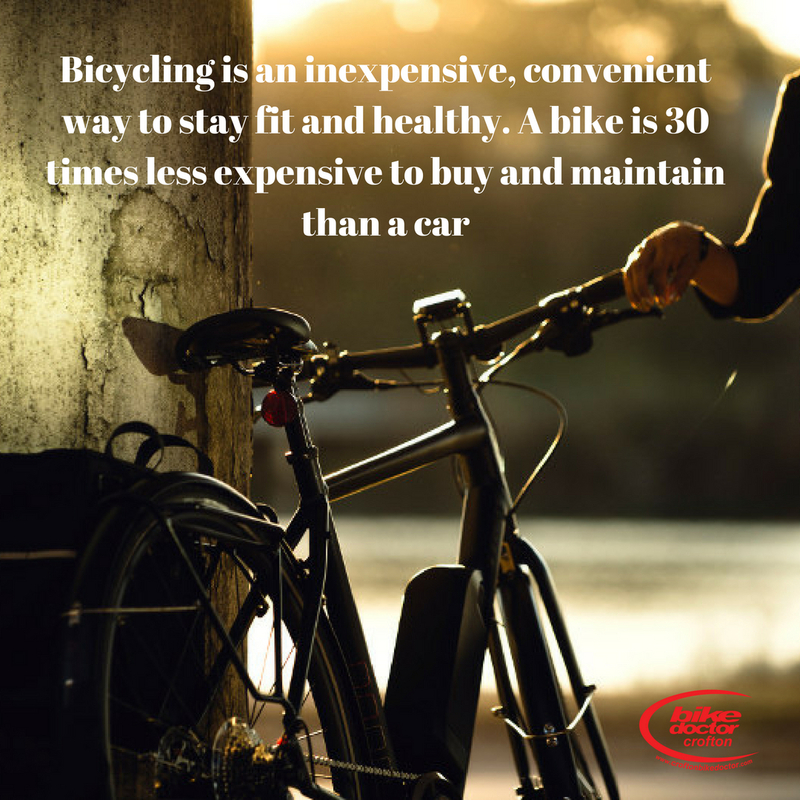 If your family rides longer distance then comfort and type of bike will be important. Longer distances: Family rides more than just around your neighborhood. You seek out places to ride as a family like bike trails etc. Weight: A few pounds give or take may not seem like a lot of weight difference in an adult bicycle but it can be a world of difference for your child’s bicycle. A three pound difference on a bicycle with a 30 lbs. rider is 10% of the rider’s body weight. Where with an adult 150 lbs. rider that would be a 15lbs difference. Adults wouldn’t enjoy riding a bike that was an extra 15 lbs. heavier proportionally why would our children? Extra weight can come from not only the frame but the materials used in the components. Steel vs. aluminum. Example: A three piece crank using alloy crank arms will not only be lighter than a one piece crank set but it uses a higher quality bottom bracket that will make pedaling easier and smoother for the rider. Kids bicycles come in 12 inch wheels, 14 inch wheels (generally not a bike shop size) 16 inch wheels, 18 inch wheels (generally not a bike shop size accept in a BMX style) 20 inch wheel and 24 inch wheel. Position: A more upright position is certainly the preferred position for the 12 inch and 16 inch size. When you get to the 20 inch it tends to be a crossover size as far as position. Some manufacturers stay with a more upright position where others tend to go towards a more adult like position. The belief is that the adult like position is a little easier to ride. Offering more comfortable riding longer distances and easier when transitioning to a larger size. Neither is right or wrong but something to consider. A less confident rider will likely benefit from being a little more upright. Frame: Not all frames are created equally. How do the welds look on the frame? Especially at the drop outs. Are the drop outs stamped or welded to the frame? Does the manufacture stand behind its product with a warranty? Most major manufacturers offer a lifetime warranty on their frames. If you were to need the warranty how is that handled? Do you work direct with the manufacture or does the retailer take care of it on your behalf? Tags Childrens Bicycle Buyer's Guide, Childrens Bike Buyers Guide, Kids Bicycle Buyer's Guide, Kids Bike Buyer's Guide, What are the differences in children's bikes., What size bike does my child ride? Everyone remembers their first bicycle ride and the feeling they had. Selecting a bicycle for your child should be a fun and memorable experience. Hopefully this Kid’s Bicycle Buyers Guide demystifies this process. Please reach out to us with any questions you may have. By considering the above items during your purchase you will be well on your way to finding a bike you and your child will love! If your child requires training wheels be sure to check compatibility prior to purchase. Getting the right fit for your child is so important for their safety but also their comfort. The first thing to look at is can they safely stand over the bike. There should be at least an inch between them and the top of the bike to allow the rider to safely dismount the bike. Reach: The reach of the bicycle needs to be proportional to the rider for both children and adults. Proper reach will allow the rider to have proper control over the bicycle. How is the reach to the handlebars? Can the rider safely turn the handlebars while maintaining a safe grip on the handlebars? Or do they have to let go of the bars a little to turn the handlebars? If they do this means the reach is too great. Sometimes you can adjust the position of the handlebars and sometimes you need to pick out a different bike. Right Size Components: The next part of fit is making sure that the components are properly sized. As humans grow their body proportions and bone structure changes. When looking at a brand of children’s bicycles you should see a progression of changes to features of the bicycle to make it proportional for the intended rider size. Are the brake levers easy to get their hands around? Many brands don’t very the size of important components that will make it easier for your child to ride and control their bicycle. Properly sized components will make your child more comfortable while riding. Is the saddle the right size? Are the grips the right size? Are the pedals the right size? Wrong size components can be a safety issue as well as a comfort issue. Grips that are two big won’t allow the child to properly and safely grip the bars. A saddle to large may not be comfortable for their bone structure. A properly fit bicycle will increase the riding enjoyment for your child and be safer. Assembly: Proper assembly of a bicycle is critical to its safe operation. Making sure parts installed and adjusted properly are essential to the bikes safe operation. Bicycles arrive to stores in boxes and require assembly to install the parts, adjust the brakes and gears making sure everything is tightened to specifications and the systems are working properly. A bicycle store has trained mechanics that assemble their bicycles. Many other stores use the same people who assemble the grills and furniture to assemble the bicycle. We’ve seen front forks on backwards, stems on backwards, brakes not hitting the rims to name a few. A bicycle is not like other pieces of sporting equipment that arrive to from the manufacture ready to be used. They require proper assembly with the final and most important step setting it up for the rider. Training Wheels: If the bicycle you are selecting does not come with training wheels and your child needs training wheels you want to make sure the rear wheel axle is long enough to accept training wheels. Training wheels vary in quality and thus durability. Some attach with just a single arm down to the wheel while others have a strut that attaches to the chainstay to offer a stronger more solid system. Most training wheels are bolted on but some have been designed with a hand removal able nut making for easy removal when the time comes. Here we have covered three of the most important items to look at when selecting a bike. There is much more to consider. Please come back tomorrow for the next installment of the Kids Bicycle Buyer’s Guide. 3. Check your bike over. 4. Plan your clothing and gear needs. One of the easiest steps but also the most important. 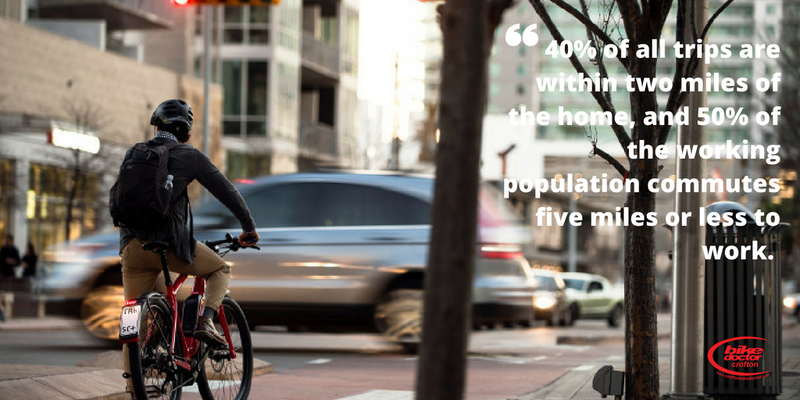 Set your goal of how often you want to commute to work by bicycle. Is it once a week, giving you flexibility in your schedule and weather? Is it so many times of month? Set one and then write it down and create a way to track it. Goals that are written down and tracked are more likely to get completed. Share your plan with your friends and co-works, this will create some accountability. Maybe you’ll even have some people interested in joining you. You may or may not be able to ride the same route you drive to work every day. When you’re driving to work look at the shoulders and road conditions. Do you see other cyclists on the roads you use? Drive other routes to work and see if they are better. Ask others who bike to work how they go. Use Google Maps with the bike feature for some inspiration if you are not sure about the best route. Strava heat maps are another tool to help your planning. Maybe you don’t commute the full distance to work. We know of several people who drive to a certain point and then ride the rest of the distance in to work on their bike. They enjoy the benefits of riding and often save a lot on parking. Do a dry run one day when you are off. You’ll familiarize yourself with the route and not be as worried the first time you’re doing it for real. Bring some friends along for the ride and have fun with it, get breakfast or lunch close to your work and then ride on home. Just like you maintain your car to make sure it is reliable you’ll want to make sure your bike is ready for its new roll. Check the conditions of the tires and the gears and the brakes. A bell on your bike will come in handy to alert others of your presence. If you are going to ride in low light or darkness you’ll want lights. If you have any questions come by the store and we can go over your bike together. Do you have a way to fix a flat if you were to get one? Here is a link to help you inspect your bike. If you increase your bike commuting there are accessories that you’ll want to consider but aren’t necessary to get started. Puncture Resistant Tires – These reduce the likely hood of getting a flat. If your route has rougher roads or sections with debris you’ll want to consider these. Fenders – If you ride in wet conditions or after a rain shower these will help keep you dry and your bike a little cleaner. Clothing – There really is no bad weather to commute in just poor clothing choices. Cycling apparel has come so far from gear to keep you dry to apparel to keep you warm. If your desire is there you can commute in temperatures below freezing to over a hundred degrees. Plan Your Clothing and Gear Needs – So how are you going to get your stuff to work? Can you ride to work in the clothing you work in? An easy solution is to drop off some extra clothes when you drive to work one day. Many commuters bring in their cloths for the week and drop them off the first of the week and bring the dirty stuff home at the end of the week. Pro Tip: If your clothes are dry cleaned find a cleaner near work to take your clothes to or have your clothes picked up and dropped off at work. Lots of bag options are available to get your gear to and from work. Many commuters use a messenger style bag to carry their clothing and electronics in. It can be multipurpose on and off the bike. Backpacks are popular as well. You can install a rear rack on your bicycle and attached bags. Panniers are popular but there are also briefcases for laptops that attach to the rack and bags made to carry dress clothing. When starting out you want to keep it simple to keep it fun. Just drop off your clothing prior to the day you plan to commute to work. You did all the preparation and the hard stuff now do the fun thing and enjoy your commute to work by bicycle. Have a great ride. Don’t forget to take a few photos to document the occasion! Congratulations on your accomplishment! Last year I wrote the Bicycle as a great solution. It was full of compelling reasons the bike is a great solution to a lot of our countries issues. With Bike to Work Day this Friday May 18th I wanted to share a few reasons why you should considered riding to work at the least, some days. Riding is certainly more fun than sitting in your car. Set a goal for yourself. Maybe once a week, two or three times a month. Then be sure to track it. Goals that you track are more likely to be accomplished. Make your initial goal something easy for you to achieve. Picking a modest goal will allow you to ride to work on the “Chamber of Commerce Days” so you get comfortable with it. These are fun goals that you should look forward to completing. After all, work may not be fun, it should be, but riding to work will certainly start the day off right. Feeling better and being healthier is always a good thing. You’ll also save money. Both on your medical bills and on your parking costs. Increasing your activity will decrease your absenteeism at work. While that may not sound like a great reason it does mean that you’ll be healthier when you’re not at work allowing you to have more fun. Fewer miles on your car, especially commuting miles in traffic means less wear and tear and maintenance. Be sure to check out tomorrow’s post. 5 Steps to Start Commuting to Work. Saddle bags: Fit nicely under your saddle and come in a variety of sizes. The most popular use for these are for fix a flat kits. Your spare tube, tire levers, inflation device, patch kit, tire boot, multi tool. If you use a saddle bag have you checked the contents to make sure they are ready if you need them? Is everything there? Is the glue in your patch kit dried out? Are your tire levers worn out? Do you have a spare tube in good shape and CO2 cartridges if needed? Enough space to carry your stuff? Having places to stash your stuff is key. When you need something you need it. Of course having too much just weighs you down. The good news is there are lots of ways and bags to carry your gear. Cell phone bags are very popular, perfect to carry your phone on your handlebars and a few credit cards. Top tube bags are also super handy. They mount on the top tube of the bike right behind the handlebar. An ideal place to stash nutrition. Which is what the bags were originally designed for. Often referred to as Bento boxes by triathletes to keep enough fuel on hand during their event. While they work great for food they are also well suited for tissues, lip balm and just about anything else you can imagine. different shapes and sizes with different pocket options. Pockets make it nice to keep stuff sorted and easy for you to find. Many of these have straps on the outside to stash items of clothing under it. With a shoulder strap option you can easily take the bag along for your explorations. Rack trunks can also offer expandable pockets when you just need more space. Top expanders are popular or even a side pocket that opens to a side pannier. Many of the bags like this are soft padded making safe areas to store a camera or slide in an ice pack or two for a picnic lunch along your adventure. One of the best features of a handlebar bag is the access it offers you while riding. Many of the designers were thoughtful and have the bag zipper open in the direction of the rider. These bags generally have a clear plastic area on the top for your cue sheet or anything else you need to see while riding. Most will come with a shoulder strap so you can bring it along with you off the bike. A basic handlebar bag may only have a single area to store stuff, where others may have side pockets, front pocket and an extra top pocket. Often they have mesh pockets on the side to stash your trash. 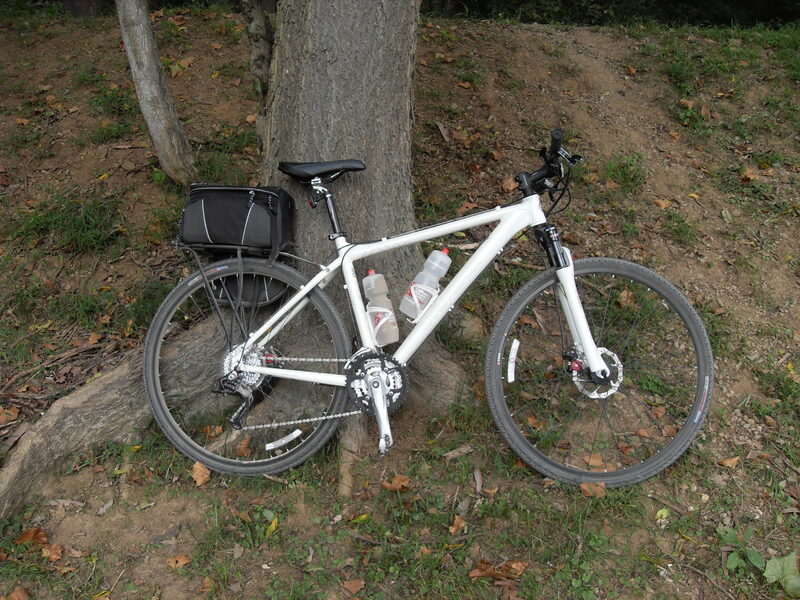 One of my favorite bags is the Topeak TourGuide…. Car Rack – Does what you want, easy to carry your bike? Making your bike easy to transport means you’ll be more likely to want to take your bike different places to ride. A car rack is the best way to transport your bike. It protects your car and your bike. Dragging your bike in and out of your car can not only damage your car’s interior but also your bike. We’ve seen damage to rear derailleurs that leads to shifting issues and damage to other areas of the bike. A good car rack with protect both your car and your bicycle. Making it easy to get your bike on and off your rack and to all the great areas there are to ride in the area. With today’s cars it is more important than ever to make sure the rack you are using is a recommended fit for your car. With all of the plastic on today’s cars it is super important to make sure your rack and bike are securely fastened to your car.